If you follow me on Twitter or Instagram or Facebook, you probably know by now that I attended the Asheville Wine & Food Festival last weekend. I’ve waxed poetic about my love for Asheville, NC and it’s burgeoning food scene before. When the opportunity to attend the festival presented itself, you better believe I jumped on it in a heartbeat! The festival was three separate events held over the course of three days, and boy am I glad they were spread out. I’m pretty good at eating but even I was overwhelmed! Read on for a description of the events and eats. Just don’t judge too harshly for the terrible photos. I took them all with my phone because using a dSLR would have meant one less hand available for eating / drinking. The festival’s first event was ELIXIR, a new event this year, showcasing the region’s spirits and mixologists (aka bartenders). There were abundant samples of everything from vodka to moonshine, and let’s not forget about the food. While the feature of this event was the cocktails, I was immediately smitten with the hors d’oeuvres. I’m not even kidding when I say I could have eaten all of the petite buttermilk biscuits with proscuitto, red onion jam, and Lusty Monk mustard. The sous vide pork belly with carrot ginger emulsion and petite pea wild mushroom ragout was so tender it practically melted in my mouth. My favorite spirit of the night was Troy & Sons’ whiskey. Actually, they were my favorite of the whole weekend. Every single cocktail they put together was delicious and their whiskey is very smooth. I also really enjoyed a little drink made with Carolina rum, Barritt’s Ginger Beer.. and some other stuff. I’m not going to lie, after the first 30 mins and dozen samples, everything started to blur together a little bit. The event was sponsored by Angry Orchard hard cider, and I do distinctly remember trying their new seasonal fall cider, Cinnful Apple. I was already a fan of their hard ciders, but I’m really hoping they keep the Cinnful Apple around for a long time because it is hands-down this cinnamon lover’s favorite flavor. The main attraction at ELIXIR was the mixologist competition. Asheville’s best bartenders put their skills to the test. The challenge: make a fantastic cocktail using at least one local spirit and Angry Orchard hard cider. We sampled a few of the creations (ok, maybe more than a few) but the 100 Proof Heartache from MG Road stood out the most. The unique combination of mescal (a smokey agave liquor), Carriage House apple brandy, Angry Orchard reduction with ginger & chili, lime, and cinnamon yielded an unforgettable beverage. Sweet, smokey, spicy and savory, it hit every part of my palette. The only way to describe it is to say it was like drinking a pulled pork BBQ sandwich… but in a really good way. MG Road took home the win with that cocktail! This should come as no surprise – SWEET was the event I was most looking forward to. All-I-Can-Eat desserts? Dreams do come true. Asheville’s finest pastry chefs, chocolatiers and ice cream makers filled the historic Grove Arcade building. We floated from table to table, sampling everything while sipping on champagne from the Biltmore and local Nobel Cider. My first stop was the True Confections table. Those mini eclairs were just calling my name! And they were perfect in every way. I was excited to finally get to try frozen treats from The Hop, Asheville’s favorite ice cream shop. With flavors like salted caramel, marscapone peppercorn swirl, and blueberry kale, what’s not to love? I sampled with peach prosecco sorbet (so light and refreshing!) while my husband tried the graham cracker porter (he gave it two thumbs up). Those who know me will not be surprised that my very next stop was French Broad Chocolates, where I finally met Dan and Jael, the two lovely people responsible for creating my favorite place anywhere on earth – The French Broad Chocolate Lounge. It was a little bit like meeting celebrities for me. I got a little fan-girly and I think I might have scared them with my excited enthusiasm, but I just couldn’t help myself! Other highlights of the evening included Well-Bred Bakery‘s raspberry champagne cake, which had FOUR bottles of champagne in it. I loved the bright burst of raspberry flavor, and you could definitely taste the champagne. I also loved their packaging, which read “I’m well-bred and worth the calories!” Indeed. I was also wowed by the gluten-free flourless chocolate cake with espresso ganache from Strada. And it was soon after that that we hit the wall. I didn’t think it existed, but it turns out there is a limit to how much dessert I can eat. We nibbled a little bit more, but I left disappointed that I physically could not eat every single thing offered. Maybe if I start practicing now I can be ready for next year? The Grand Tasting is the festival’s biggest and final event. The US Cellular Center was packed to the gills with beer brewers, winemakers, distillers, restaurants, farmers and artisan food producers. I have literally never seen so much food and drink in one place. As if that weren’t enough, the event also played host to an Iron Chef-like cooking competition between chefs from local restaurants Tomato Jam Cafe and Strada. Due to a bit of poor scheduling on our part, we had to leave to Grand Tasting for a bit in the middle of the event (to tour the French Broad Chocolates factory – worth it!). Even with our early VIP admission, that only gave us about 3 hours total to see, smell and taste everything. It was not enough time! Highlights included Pork Belly BLTs and Figs Two Ways (including the worlds smallest and cutest fig newton!) from the Biltmore, fresh sliced jamón ibérico (cured spanish ham) from Cúrate, lavender chicken salad from The Corner Kitchen, fresh cheese curds, and two more delicious cocktails from Troy & Sons. (What? I like whiskey.) I also discovered all natural, handmade Firewalker Hot Sauce and fell in love with it, which is saying a lot for this girl who doesn’t really even like hot sauce. Its citrus-y, habanero kick tastes great on just about everything, which is exactly what I’ve been putting it on. Bonus: it’s made with no preservatives or funky ingredients – just real foods like vinegar, citrus, peppers and spices. I love food I can feel good about eating! The whole thing went by so fast, and there was so much to see and taste that we didn’t get to everything. I hardly even took any photos! Congratulations ReneeDF – who said, “I would have loved to try the marscapone and peppercorn ice cream! Hope I win, I need chocolate in my life (and mouth)!”. Well Renee, I think I can help with that. Check your email! Congratulations! You made it through the whole post! Or you cheated and just skipped to the bottom. Either way, I’ve put together a little gift for you as a thank you for reading The Craving Chronicles. For a chance to win, leave a comment on this post telling me what you would have liked to try at the food festival, what you’re most hoping to try in the gift box, or just tell me what you love about The Craving Chronicles! You have until Wednesday, September 4th 2013 at 5:00pm EST to enter – one entry per person, please. US residents only. ONE entry per person. Anyone violating the rules will be disqualified at my sole discretion. The giveaway ends Wednesday, September 4th 2013 at 5:00pm EST. 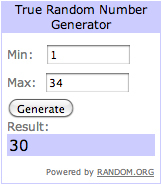 Winner will be selected at random using a random number generator. Winner will be emailed, posted here on the blog, and announced on Twitter. In the event that the winner does not respond within two days, a new winner will be selected. Disclaimer: This giveaway is not sponsored and I have not been compensated in any way. None of the brands mentioned (aside from Asheville Goods, who are assembling the gift box) even know I’m doing this. This is literally just a gift from me to you! I would have loved to try the Raspberry Champagne Cake. The item I look forward to trying in the Ashville Goods gift box would be the Lusty Monk mustard. I just recently found your blog and now look forward to getting delivered in my email box! Lovely post! Love Ashville & the Biltmore! That pork leg that that guy is carving – I’d LOVE to all that he has cut off, plus some. I LOVE smoked meats! Everything else looked great, but, as I am GF, probably couldn’t have a lot else. But anything dark chocolate is GREAT! I had a GF chocolate cake with espresso ganache at SWEET you would have loved, Allison! The homemade ice cream sounds great! My food fantasy is to go to a restaurant with a fabulous dessert tray, and when they bring it out to show me, say, “Just leave it.” I would love to try mascarpone peppercorn swirl ice cream, along with a scoop of salted caramel. I love oddball flavors of ice cream, even if they’re not chocolate! Everything sounds luscious in the gift box. I really enjoy your blog and your photos, Theresa. I look forward to an e-mail when there’s a new post. Keep up the good work! What a great time! I loved all the photos – they make me hungry! i would’ve been camped out at the hop’s booth. i love asheville and wish i had known about this event! Put it on your calendar and go next year! It was so much fun! I’d love to try the chocolate gems, I Love salted caramel! Oh my! How to choose – everything looks so delicious! I think though, that I would have liked to have tried the gluten-free flourless chocolate cake with espresso ganache most of all! Oh my this all looks so scrumptious! I’m actually not entering to win, just entering to leave some comment love:) Looking through these pictures made my heart pang, I miss my former life of donuts, eclairs, pastries, and BEER before going gluten-free. Good luck to the winner! Thanks for the comment love! :) FYI, Angry Orchard hard ciders are gluten-free (as are many other hard ciders). I know it’s not the same as beer, but it’s something. Really…blueberry kale ice cream?! Amazing. Josh and I went to a food festival when we were in Tasmania this past winter. Sounds like we’ve got to hit Asheville’s scene next year. I’m curious if you paid a flat fee or had to pay for each taste. Oh and consider this my entry for your contest…fingers crossed!! Love this blog cause the recipes work without adjustment and the pics are beautiful! Well-Bred Bakery‘s raspberry champagne cake looks INCREDIBLE! Can I just get a box full of that?? Oh my goodness. I am drooling! It sounds like you had a fantastic time! If i ever visit the U.S. i will have to try and schedule it around this event! I would have loved to try the Pork Belly BLTs and Figs Two Ways (I LOVE fig newtons.) My son goes to college in NC and I have been wanting to go to Asheville for a while. Maybe next time. I would definitely be into the Sea Salt Chocolate Bar! YUM! Wait. Did you say cinnamon angry orchard? MUST FIND! I think I’d like to try…uhm..everything. Take me with you next year! The buttermilk biscuits with proscuitto looks delicious. Everything looks so good, but I would have loved to have tried those cinnamon rolls. They look delicious! I’d love to try the petite biscuits with prosciutto, red onion jam, and Lusty Monk mustard. Yum! Anything chocolate! I miss good chocolate something fierce. I would have liked to try the homemade ice cream! The liquor. All of it. Fench bread and chocolate. I would have loved to try the marscapone and peppercorn ice cream! Hope I win, I need chocolate in my life (and mouth)! The desserts would be my favorite too. What a great event! I’ve only been to smaller versions of things like that at Caesars Palace when I worked there. Definitely the Lusty Monk mustard. I love trying new mustards, and using them in my cooking for a hint of warmth and tang, or just in a sarnie for added oomph! So much delicious looking food! I think I would have come home weighing 15 lbs more.